The OPP’s racially-based refusal to uphold the law in Caledonia has victimized both native and non-native people. 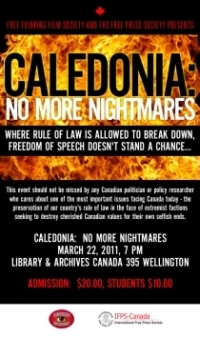 Now, Caledonia’s nightmare is spreading as more Ontario police forces ignore court orders and refuse to uphold the rule of law. Coming soon in February 2013: The MarchForFreedom Bus Tour to Parliament Hill.